It is important the quality and amount of Fees can vary by two parameters: their quality and quantity. Quality cards from the materials, soldering and trace elements. Hoverboard during its short history managed to get a different set of boards. In the first model, we used three boards: one motherboard and one for each wheel. There is also information that there are 4 paid hoverboard, but in my practice we have not seen such. 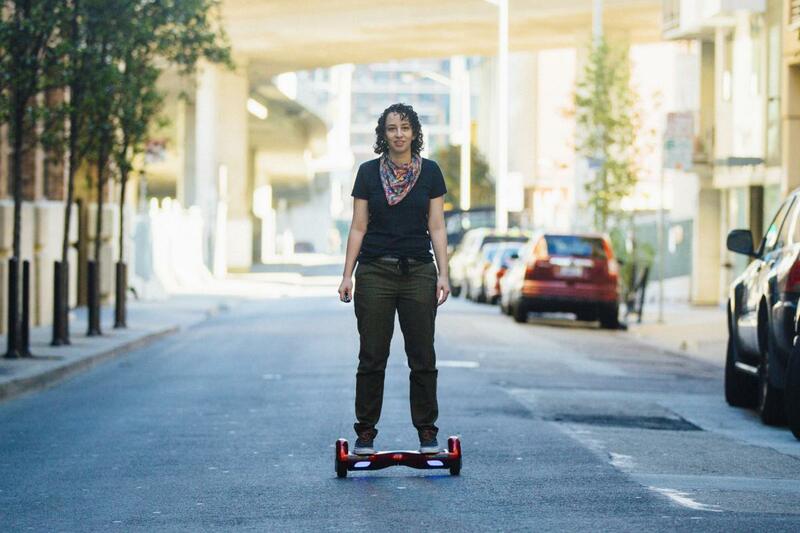 At the moment, increasingly, there are 2 paid hoverboard. Function parent went to the boards for each of the wheels. There are different opinions regarding the number of boards. We believe that hoverboard with the two boards ride more stable. Cases come in different strength housing Material can be made of the conventional polystyrene (PS) and high impact polystyrene (HIPS). The strength of these two types of polystyrene are very different. Normal PS is considered a strong material, but brittle under impact unlike HIPS. Conventional PS is most often used for the Chinese market, and HIPS for export. But there are times when the usual PS and trying to sell abroad. Before buying be sure to ask, what plastic will be used in your party. The motion is driven by the motor wheels In hoverboard used motors that are built into the wheel. It turns out that the wheels are electric motors. They are all made on the same principle and differ only in capacity. Typically, this is 250-350W. Within wheel motors is one of the most common problems noise while driving. Usually the winding in the motor is rubbing on the wheel housing, which creates an unpleasant sound. In most cases, a good professional repair can solve this problem without replacing the wheels. The secret of uniform design If you pay attention to the design of hoverboards, it looks like most manufacturers and brands. This is due to the fact that all manufacturers use the same molds. Factories with which we spoke say they do not want to invest in the development of new molds, so as soon as they do, others will copy it immediately, without spending a penny. In the end, it is reminiscent of a game for waiting. As the Director said one of the factories: to lose one who the first will invest in the development of a new design. The causes of the fire With the growing popularity of hoverboards, frequent reports of fires and even explosions. It should be noted that such cases in relation to the total sales remain single, but still have a place to be. Most often the cause of the fire is a low quality batteries. Lithium Ion batteries in hoverboard not much different from those that are in smartphones and other gadgets, the cases of fire which is also known. In addition, fire happen if the charger is not designed for this hoverboard, or a short circuit happened, the battery in contact with water or other external influences. When purchasing, pay attention to the build quality of hoverboard and all of its components, especially the batteries themselves. Make your own brand easily as the market of hoverboards already saturated, it becomes harder to sell the ring hoverboard in standard cartons. The best solution for that would stand out from the crowd will be the creation of its own brand. Most popular options to brand hoverboard: a logo on the case Logo or other identification mark is applied in the form of stickers or screen printing (screen printing). This can be done anywhere, but is best suited the front part above the headlight. Stickers are not expensive, and you can try to negotiate with the factory to do it for free if you have the appropriate volume of the order. Screen printing is a more complicated process which done on a separate production. Therefore, the cost of screen printing will be higher. Branded wheels rims can also be done with your logo, but it is necessary to open the mold is that worth the extra money. In addition, the minimum order for these wheels will be 500 pieces of the same size. As a rule, not many companies are ready to make an order for 250 hoverboards one model, so this option branding is not very popular. However, it looks the best. Carton Box can be made with any design. There is a possibility to choose the density of the paperboard and the print quality, which will depend on the cost. The minimum optimal order in boxes of 500 pieces, a number of required most manufacturers. This order can be guaranteed to get a good price. Boxes can be ordered separately, put them in the warehouse and use the receipt of orders. Even in the case of using only quality components, hoverboard, like any other technique, may eventually fail and you will have to go to a repair shop. Hoverboard relatively complicated electronics, and all the parts in it can be changed. The main task is to ensure that the specialist correctly determined the cause of failure and replaced or fixed the right part. If you do wholesale purchase in China, then upon arrival of the scooters on the territory, we recommend you have to make input validation, specializing in repair of hoverboards of the company. After scanning, you can put their scooters for an annual service and service company will provide a guarantee to your customers. On average, this service costs 1500 R/year (mechanical damage and the ingress of water, warranty does not cover). Thus, you can be confident in the quality of your product and your customers will be more loyal after receiving your purchase with a warranty. PS People are so like a new vehicle, they even dedicate poetry to him At the end of our review we want to share our favorite pieces we found on the web in the process of writing.